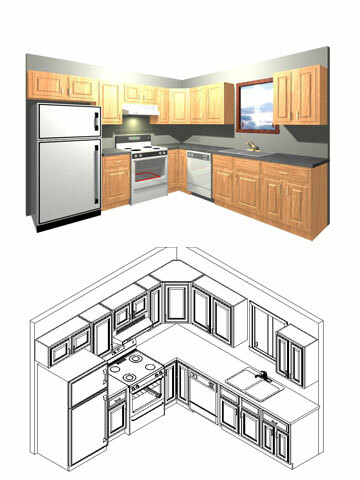 This sale is for a set of kitchen cabinets used to build a standard 10’ x 10’ (“L”) shaped Kitchen. The total amount of wall coverage has space allowances for appliances and windows. Variations in this layout are allowed only to the extent that the basic composition (parts list) remains the same. electrical, removal of old cabinets, ect. are not included in sale pricing. If your needs vary from this 10x10 layout, please contact us for your free quote at 386-668-4151.